Ottawa/New York – Canada is growing at a risng pace due to strong immigration rates, the country’s national statistical agency said Thursday in Ottawa. Canada’s immigration wave is the largest in decades. In the third quarter of 2010 alone, Canada took in 84,200 immigrants, and some of its provinces had not taken in so many in 40 years. Only a quarter of all new Canadians are born in the country, while three quarters were born elsewhere. Today, Wednesday, December 22, 2010, the quota for Registered Nurses (NOC Code 3152) on Canada’s General Occupations (Demand) List was filled. If your work experience is in occupation 3152 Registered Nurses (whose quota has been reached) and your Application for Permanent Residence in Canada has not yet been filed, you must either find another occupation on Canada’s General Occupations (Demand) List in which you have a minimum of one (1) year of paid full-time work experience within the past ten (10) years (i.e. 3233 Licensed Practical Nurses – see http://www5.hrsdc.gc.ca/NOC/English/NOC/2006/QuickSearch.aspx?val65=3233 ) to satisfy eligibility requirements OR you must wait until the new General Occupations (Demand) List is released on July 1, 2011 to see whether 3152 Registered Nurses is still on the list OR obtain Arranged Employment. Normal business operations will resume on Tuesday, January 4, 2011, at 09:00, Eastern Time. If you are not yet a client of Abrams & Krochak but had your eligibility to migrate to Canada as a Federal Skilled Worker favourably assessed by the firm and you have questions, regarding this information, please send your questions, in the form of an e-mail, to askus@akcanada.com. We look forward to representing you and to seeing you soon in Canada. Canadian immigrants pass current testing with a rate of 97% because of widespread access to the tests on the Internet and an underground market selling the (only) 5 standard tests to would-be citizens. 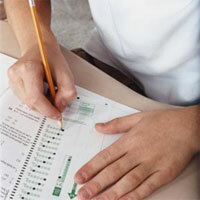 According to media reports across the country, failure rates of up to 30% since March can be attributed to new, tougher questions introduced to curb the cheating. A modified test introduced on October 14, 2010 is trying to cut the increased failure rate to 20%, a move hoped to unclog the system. The only would-be citizens required to take the test are those between the ages of 18 – 54, giving older immigrants no real reason to worry about fitting in to Canadian society or Western norms or in fact even know what a democracy is. The old test was quite easy, only requiring applicants to pass with a 60% grade with 20 multiple-choice questions within 30 minutes. Compare that to now requiring applicants to complete with a 75% grade to pass. Typically, an NDP MP (Olivia Chow, an immigrant herself) criticized the government saying “Dramatic increases in both wait times and failure rates for Canadian citizenship tests (are) costing tremendous disappointment for immigrants who passionately want to become citizens,” suggesting the new rules create a bottleneck in the system and going on to say the rules set new immigrants up to fail citizenship tests. Canada has recently and over the past 20 years faced many voices of criticism due to sub-standard or no background checks, allowing people with terrorist links to enter and country and receive citizenship without having the slightest clue on life in the Western World. (IANS) ‘Ghost’ immigration consultants in India, who dupe people desperate to migrate to Canada, will be put out of business with the passing of new legislation by the Canadian parliament. Canadian Immigration Minister Jason Kenney said the legislation to crack down on crooked immigration consultants has received final approval Tuesday in the House of Commons. The new Act will crack down on crooked immigration consultants who undermine the integrity of Canada’s immigration system, the minister said. 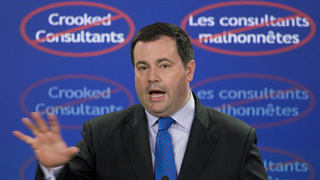 ‘In their quest for personal gain, crooked consultants have displayed a wanton disregard for our immigration rules and bilked too many people out of their hard-earned dollars,’ said Kenney. ‘They are a menace, posing a costly threat not only to their victims, but also to the integrity and fairness of our immigration system. When crooked consultants encourage prospective immigrants to cheat the system, it slows down the immigration system for those following the rules,’ the minister said. The new Act makes immigration services provided by any unauthorised immigration agent illegal. According to Canadian authorities, India-based ‘ghost’ immigration consultants — who operate in collusion with their Canada-based fraud partners — pose a major challenge to this country’s immigration system. Operating out of the purview of law, these ‘ghost’ immigration consultant cheat thousands of prospective immigrants each year, defrauding them up to $30,000 each. Such operators are rampant, especially in Punjab, as migrant families from that state in Canada want to bring their relatives here by hook or by crook. Up until an Iraqi-born suicide bomber in Stockholm sent more than just winter chills up Sweden’s spine over the weekend, Sweden believed it was safe, and immune to post 9/11 attacks. So did Canada. Until the Toronto 18. Precipitated by our combat role in Afghanistan, and then boy-terrorist Omar Khadr as Canada’s poster child for jihadist genetics, the Toronto 18 was our wake-up call to perceived impunity. While the 1985 Air India bombing was the biggest act of terrorism committed on Canadian soil, most Canadians tend to put it in a different category — a one-off by Sikh extremists specifically targeting their own — as they continue to fear another Toronto 18 terrorist cell is assembling to indiscriminately kill in the name of al-Qaida. This is no longer written off as paranoia. But it should not ignite a fuse. Like Canada, Sweden has one of the more open immigration policies in Europe, and it is no doubt feeling it is now being punished for the good deed of accepting more Muslim immigrants from Iraq since Saddam’s lynching than any other country. A by-product of this, now rearing, is internal racism. As Canada seeks to find balance between true immigration and legitimate refugees with the kind of human smuggling that had a boatload of Tamil “migrants” jumping queue in British Columbia, the Swedes have begun tossing such political correctness aside. In fact, the country’s anti-immigration party, the Sweden Democrats, have likened the 5% (and growing) Muslim population as the biggest threat to Sweden since Hitler fired his first shot. As a result, the far-right Democrats are now power brokers in Sweden’s parliament. What set off bomber Taymour Abdulwahab, figuratively and literally, was Sweden’s 500 troops in Afghanistan and a three-year-old Swedish cartoon of Mohammed in a dog’s body. And so the 29-year-old Muslim, a Swedish citizen since 1992, went out to blow up a train station. Toronto got lucky with the Toronto 18. They were caught before their plot could be hatched. Stockholm got lucky. Its bomber’s explosives detonated prematurely. At the same time, however, another type of fuse was re-ignited in Sweden, and that’s far-right nationalism. Beware its importation — even if it can be rationalized.